Nearly two thirds of the council’s “discretionary housing payment” (DHP) fund went unspent in 2011/12, with council officers estimating another huge underspend in 2012/13. Households in financial hardship who are entitled to housing benefit can apply for the temporary payments to meet shortfalls in rent or other housing bills. A total of £269,491 in unclaimed cash out of a £420,750 pot in March 2012 was allowed to roll over into 2012/13, leaving the council with nearly £1 million available to spend in 2012/13. But by last January officials were predicting yet another “substantial underclaim”. Now, the council has to hand back unspent cash built up over the last two years to the government. Nationally, Manchester was the local authority with the third biggest underspend of discretionary housing payments in 2011/12. But similiar errors were reported up and down the country, with councils leaving nearly £8.4m of the £30m scheme unspent at a time of severe housing crisis. Manchester is rated the third worst eviction hotspot outside of London according to the housing charity Shelter, with a possession rate of one in 66 households. More pain for struggling households is expected with the implementation of unprecedented welfare cuts by the Coalition government, including the hated “bedroom tax” which is expected to hit nearly 14,000 families in Manchester alone. Local councils say the government is to blame, arguing that Whitehall first beefed up DHP funding in 2011 to temporarily cover a cap in housing benefit, only to then delay the cap’s implementation for nine months, leaving the extra money unused. 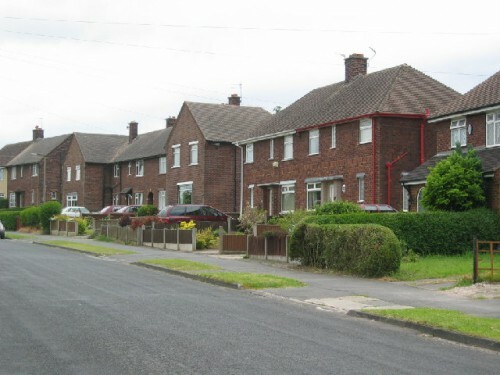 Councillor Jeff Smith, Manchester City Council’s Executive Member for Finance, said, “Government has set aside increasingly large Discretionary Housing Payment funding since 2011 to mitigate the worst effects of their changes to housing benefit and welfare reform. “Funding for 2011/12 was allocated before transitional protection was offered to existing claimants, which meant Manchester, like most authorities, was allocated more funding than required, resulting in an underspend – which the government allowed councils to carry over to the next financial year. People who need hardship funds still don’t appear to be getting them however. A council report released in January noted that despite “a sharp increase in demand and in the number of awards made”, officers anticipated “a substantial underclaim against the funding available without any possibility of carrying this forward to assist in 2013/14.” Despite this, officials claim the scheme is “working well”. Others have offered a different explanation for the much-needed payments not reaching people, arguing that councils are likely to be losing the staff required to process the claims competently. Speaking to the website Landlord Referencing in 2012 in reaction to the revelation of huge underspends by councils across the country, the Director of the Landlord Information Network Clare Turner said, “Housing benefit services are being scaled down in preparation for Universal Credit (UC). “The increased number of DHP awards that all councils will have to make to spend all the money available to them would mean they would need more staff. The council says that this year it expects to fully spend its available £1.9m in discretionary housing payment funding. Eligibility criteria have been reviewed to account for some groups hit by bedroom tax such as disabled people and foster carers, although lone parents whose benefits are cut will be largely excluded from the hardship fund. Flabbergasted ! what an unbelievable Council this is. Vote Green whenever you can please. Time for revolution here. What a bunch of pathetic and inept Clowncil Cretins . Time for REVOLUTION indeed . why dont they use some of that priceless stuff stored underneath the town hall,art and artifacts worth millions to help people hit by welfare cuts?then theres the million+ quid a year they get in rent from Man City Etihad stadium. How can they can afford to put on all these events like the International music festival paying performers shitloads of money and all those type of events they seem to be having regularly while we have to go to foodbanks. Also,why are the councillors still refusing to make public there expenses? what they got to hide? how long is temporary?6 months,then what?can you re-apply?or do you go back to paying without any DHP? whats the point in it just being temporary?are they thinking you’ll get full time work after 6 months,actually is there any full time jobs left? What an effing bunch of idiots . Housing Benefit is available to people on a low income who rent their property from the council, housing association or private landlord. Vote the useless clowncil shites out !